The PLM International Conference connects various representatives of its community who contribute to its state-of-the-art research questions investigation. 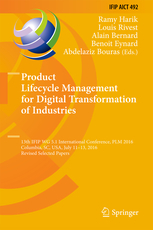 Among them are issues of design methodologies across the whole product lifecycle, their supporting digital tools, and integration challenges in the context of cyber-physical systems. The organizer of the conference is Skolkovo Institute of Science and Technology (Skoltech). Skoltech hosts the conference in a historical city – Moscow, Russia. Apart from being a cornerstone touristic attraction for many centuries, Moscow covers a crucial part of the Russian industry, playing a primary role in aerospace, aviation and machinery manufacturing. Moreover, Moscow is a Russian center of academic advances, which brings the educational transformation to the whole country. PLM19 will include keynote lectures, scientific paper presentations, and indus- try-oriented sessions, with an extensive social program. The extended deadline for full paper submission is April 1. The conference will cover a wide range of topics concerning – for example – the approaches for managing product data and information, the enabling tools, the Industry 4.0 paradigm, and the Product-Service systems. The full list of covered topics is available in the Call for Papers. The special visit to astronauts/cosmonauts training centre, Starcity, is planned on Friday afternoon, July 12.